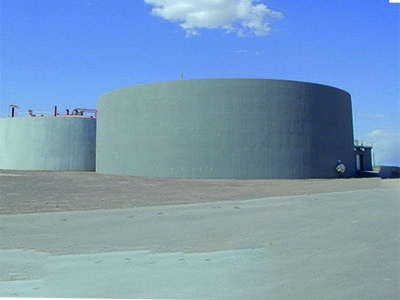 Concrete containment structures are used for a wide variety of wet and dry bulk storage uses, secondary containment and dikes, holding basins, processing vessels, nuclear containment, and more. Their essential function is to keep materials contained and prevent leaks and spills that can be harmful to the environment and to health and human safety, making the integrity of the concrete containment structures crucial. Rapid Set® and Komponent® products have been successfully used in containment structures for over 50 years. Rapid Set’s complete line of high-performance repair and maintenance products ensure timely return to service of existing structures, while Komponent® shrinkage-compensating concrete solutions improve sulfate resistance, simplifies designs and eases construction challenges for new concrete structures and topping slabs. More than ten years later the Roberto R. Bustamante Waste Water Treatment Plant (WWTP) and the Jonathon W. Rogers Water Treatment Plant (WTP) are still crack free and leak free. Product used was Type K shrinkage-compensating cement. 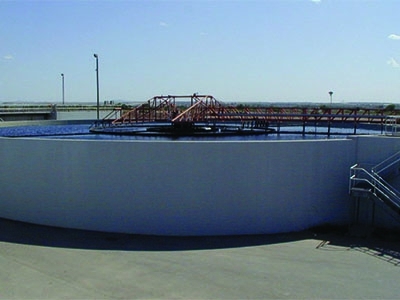 The concepts used to construct leak-proof tank farms can be adapted to other containment structures, such as truck loading/unloading stations, railroad loading and unloading stations, drum filling operations, and other areas where leaks or drippages are likely to occur. These environmentally safe state-of-the-art containment structures can be constructed due to the special characteristics of shrinkage compensating concrete made with Type K cement.